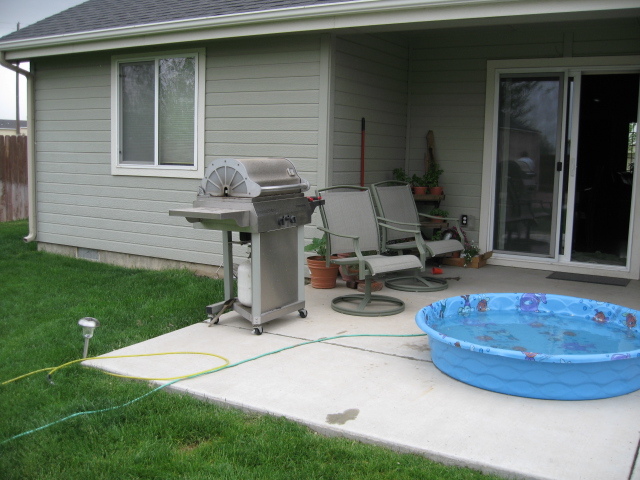 Mr. Tom M. ordered 12 x 24 shed from us few years ago for his home in Nampa. Recently he moved to a different house closer to Meridian. So he decided to get the same 12×24 shed for his new backyard. He called us to order one just like he had before. This kind of vote of confidence is what we are striving every day here at Idaho Wood Sheds. Jim and I were more than happy to take care of our repeat customer. Mr. Tom was very kind to us too. He even cooked hot dogs for us. They were delicious! When we took our short break we sat down and got to know each other and his two dogs even more. This is typical of kind of relationship that we are building with our customers. There is nothing we wouldn’t do to make them happy. One more thing, that day the weather was really crazy: sunshine, wind, thunder, rain, but it did not stop us form completing the job. 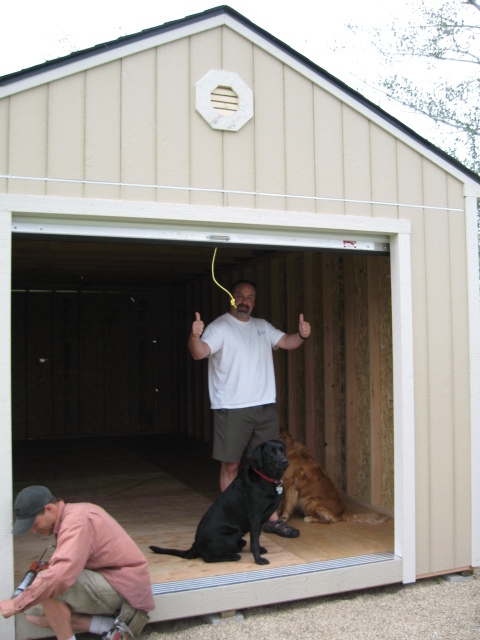 If you never had our team of craftsmen to build a shed for you, give us a chance to do it. We are confident that you will agree with us when you see your new shed, that it was a smart cho ice.